Sometimes conditions make it impossible for ordinary pick-ups or dump trucks to even get to a jobsite. Swampy, soft ground, sand, snow, steep slopes and winding paths can bring a job to a halt. 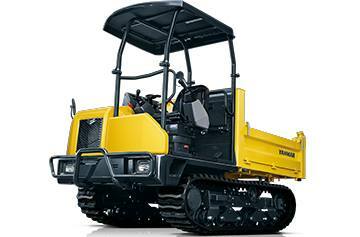 But the rugged, powerful C30R-3 all-terrain tracked carrier is purpose-built for just those conditions. The rubber-tracked, high-flotation, low-ground-pressure carrier productively operates in the toughest conditions, while also minimizing damage to environmentally sensitive areas. Which means there’s almost no place you can’t get to, and no job you can’t get done.